For over thirty years, Jim Miret has been behind the success and innovation found at Front Range Volleyball Club. Not only is Jim the Head Coach of FRVBC, he is also the longest serving coach and employee at Front Range. Jim brings junior, collegiate, national, professional, and international volleyball coaching experience and expertise to the Front Range program, and is responsible for the vision and direction of the FRVBC program. During his tenure as Head Coach, Jim has coached several age groups in the club and has achieved success at the collegiate, professional, international, and club levels. In 2000 Jim served as the Technical Advisor Assistant Coach for the Women’s Olympic Volleyball Team during their tour in China for the Grand Prix Championships. He also Participated in the Sydney Olympic Games in the same capacity. In 1999 and in 2003 USA Volleyball named Jim Outstanding Male Coach for Juniors; in 1999 the United States Olympic Committee named him Developmental Coach of the Year in Volleyball; and in 2003 the RMR recognized his accomplishments by naming him the Junior Coach of the Year. For six years Jim served at a Head Coach for the USAV Youth & Junior National teams program. In 2002 and 1998 Jim’s Youth teams won the International Zone Qualifying tournament (NORCECA); in 1999 the team finished sixth at the Youth World Championships; and in 2000 the team took second place at the NORCECA tournament. In 2001 Jim coached the team that competed at the Junior World Championships in the Dominican Republic. 2002 was a banner year for Jim, both at Front Range and internationally. Jim won four Gold medals on one season – the 18 Open Gold at the Crossroads National Qualifier, the 18 Open Gold at the Tampa Bay National Qualifier, the 18 Open Gold at JO’s and the Gold medal at the NORCECA tournament as the Head Coach of the USA Youth National Team. In addition, 18 Black went undefeated in region and national play from Crossroads through JO’s, including winning the RMR Championship. With these gold medal finishes Jim became the first coach in the RMR to lead a team to the Gold medal in 18 Open and the second coach in the region to go undefeated at JO’s (Front Range 14 Amber won the Gold at JO’s in 2001 in 14 Club). In 2006 Jim coached 18 Black to a Gold medal finish at the AAU National Championships – the first team in the region to win a Gold medal there. The 2015 season was another successful one for Jim – he coached 18 Black to 4 medal finishes in national competition (Gold in 18 Open at The President’s Day Classic in Omaha, Gold in 18 Open at The Show Me National Qualifier in Kansas City, Silver in 18 Open at The Northern Lights National Qualifier, and Bronze in 18 Open at The AAU National Championships), as well as a top 10 finish at the Girl’s Junior National Championships. Jim has personally coached Front Range teams to five medal finishes at JNC’s, and another five medals at AAU’s, and is one of the most successful coaches in junior volleyball. Not only is Jim successful on the court, but he is also the driving force in developing the training program at Front Range. Jim devotes much of his time and efforts to research and consultation with experts in the fields of biomechanics, physical strength and conditioning, and sports psychology in order to create a development plan for Front Range’s athletes that is comprehensive, safe, and allows our athletes to train to their maximum potential. 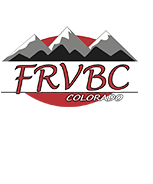 Jim is heavily involved in the development of all youth athletes at Front Range and also in the education of FRVBC’s coaches. Jim’s philosophies on volleyball and training methods are highly regarded among coaches around the country. Four times Jim has given presentations at The American Volleyball Coaches Association Annual Conference. Jim has also published articles in Coaching Volleyball, the award-winning technical journal published by the AVCA. Jim is entering his 35th season at Front Range VBC as Head Coach of the program and Head Coach of 17-1 Silver.